Transform your fundraiser into a FUN-raiser! Sometimes it’s not just about the party, but about making a difference while creating art. 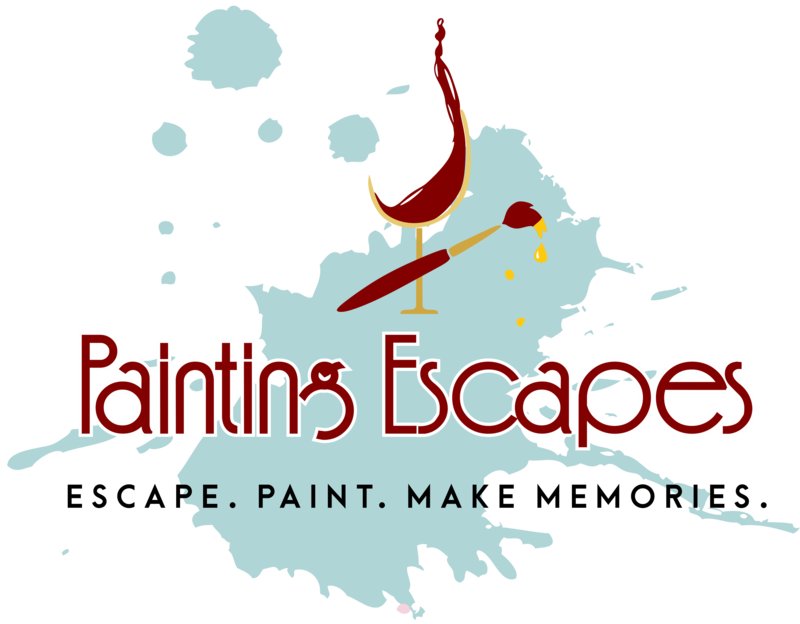 Partner with Painting Escapes to hold a fun and artistic event that everyone will want to attend. We do require a 10-painter minimum to be paid up front in order to secure a non-profit fundraiser date and time. All fundraisers classes come with 2 or 3 hour paintings at $35 – $45 per person with $10 going back to the fundraisers featured organization. We will advertise your fundraiser on our Facebook page and newsletter, but it ultimately is up to the host or organization to get the guests into the fundraiser event through advertising their own event and directing their participants to sign up either through a private or public fundraiser which will be posted to our class calendar. Do you have more than 30 people? Don’t worry, we will come to your location!